Hello Arattarangetram viewers, here is the continuation of Season 2 Episode 2 of Arattarangetram, featuring Uma Sathya Narayanan, senior disciple of Chitra Visweswaran. To listen to just the audio from the interview, you can download the mp3 from here (right click link and select “save link/target as”). Hello Arattarangetram viewers, this is the first part of Episode II of Arattarangetram Season II. In this episode, our special guest is Uma Sathya Narayanan, senior disciple of Chitra Visweswaran. 21:13 – Do today’s dancers or does Bharatanatyam in general lack a sense of abandonment/spontaneity? Uma Sathya Narayanan answers..
Watch out our blog for Part II of this episode with Uma Sathyanarayanan! Welcome to Season II of Arattarangetram. This is the third part of Episode I of Arattarangetram Season II. In this episode, our special guest is Anjana Rajan, Visiting professor at New Delhi’s National School of Drama and the Shriram Centre for Art and Culture, and Correspondent and Senior Assistant Editor with The Hindu from New Delhi. 17:47 – How do artists react to criticism? Do they take it in the right way? What parameters does the The Hindu have in place while recruiting dance writers? There is a difference between review and publicity of the performance. Most of the time, the organizers/dancers confuse these two. 26:30 – What happens when the reviewer’s/critic’s view on writing was not the one shared by the entire audience? How can we look at those writings again down the memory lane? How to check these and putting safeguards. 34:05 – Who is the critic favoring in the writing? The lay-reader or the dancer? 39:30 – Dancers who are in the autumn of the career. How would their dance be evaluated as compared to young dancers? Can be covered as an event. Anecdote from Golden jubilee of Indian Independence, organized by Sangeet Natak Akademi. 47:26 – Do you think reviews today are hard or are bland, in context of the dance critic Subbudu? How do you react to reviews that border on rudeness? Is the same yardstick being applied to dancers, of the same group, of the dancers with same approach to dance? 58:59 – When a critic is invited to review, how do you change roles and forget the things that happened during the day? Checking if the reaction is from the moment of watching the dance or from the prior experience in the day. Welcome to Season II of Arattarangetram. This is the second part of Episode I of Arattarangetram Season II. In this episode, our special guest is Anjana Rajan, Visiting professor at New Delhi’s National School of Drama and the Shriram Centre for Art and Culture, and Correspondent and senior assistant editor with The Hindu from New Delhi. In early days, the review was published the day after the performance and that was a norm, which changed to once a week publication. Editorial matters: who is listening to whom? What are the other alternatives space for arts/dance based journalism? Gyan Darshan event with live audience and audience calling in. The reach is from interior of the country. Welcome to Season II of Arattarangetram. This is the first part of Episode I of Arattarangetram Season II. In this episode, our special guest is Smt. Anjana Rajan, Visiting professor at New Delhi’s National School of Drama and the Shriram Centre for Art and Culture, and Correspondent and Senior Assistant Editor with The Hindu from New Delhi. 0:00 – Raghu Introducing the special guest Smt. Anjana Rajan. 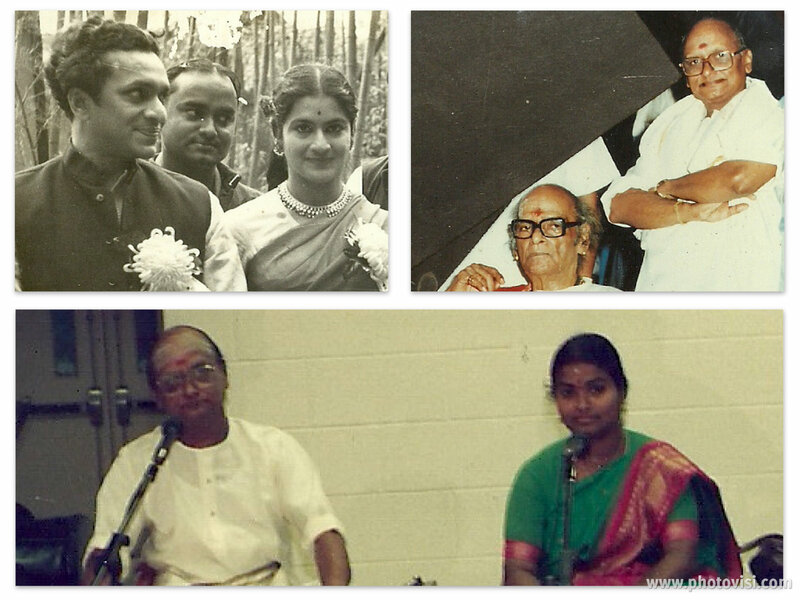 Anjana Rajan reminisces about her days in Kalakshetra. Looking at why things were done at that period of time. Watch out for Part II and Part III of the same episode with Smt. 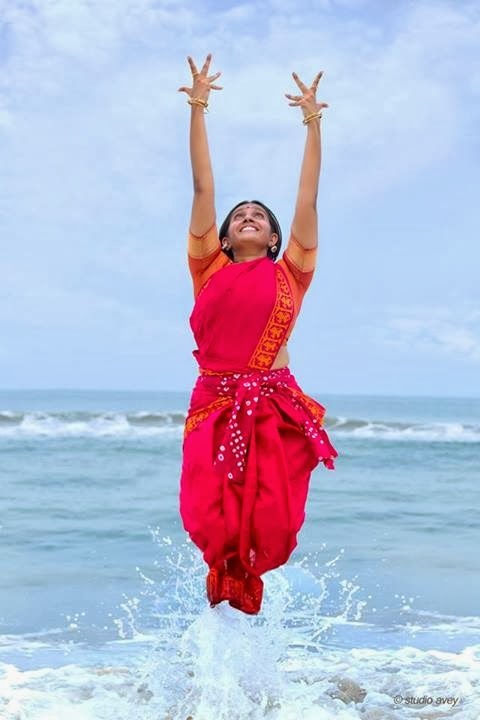 Anjana Rajan in the next post. do such changes dilute the classical art form? how is the same song choreographed for cinema and for a stage? Note to viewers: Due to technical difficulties the conversation about Vazhuvoor Ramaiah Pillai got interrupted. We have continued discussing the same thread in this video. 0:00 – Continuing the conversation from Part I of Arattarangetram Eighth Episode. 1:08 – Students who joined under Swamimalai K Rajarathnam Pillai after their arangetrams. 2:59 – Raghu’s Question “How did you imbibe the teaching methods from your father? Also, how did your father imbibe from Vazhuvoor Ramaiah Pillai?” Discussing about Swamimalai K Rajarathnam Pillai’s teaching, his humility. 13:46 – Vocalist turned nattuvanaar – How important is the inclination of music to teaching? Discussing about SKR and Lalgudi Jayaraman. 17:37 – Was Swamimalai K Rajarathnam Pillai choreography graceful due to his music? 18:10– Smt. Jayakamala Pandian sings a singati from Khamas varnam, emphasizing the musicality of Swamimalai K Rajarathnam Pillai. 19:35 – How challenging is it for current dance vocalists to render sangatis like Swamimalai K Rajarathnam Pillai? 24:18 – Vazhuvoor Bani and its intricate sollukattus. 34:03 – Smt. Jayakamala Pandian identifies the vocalist as Radhakrishnan and Swamimalai K Rajarathnam Pillai and other members of the troupe in the video. 38:45 – Vazhuvoor Ramaiah Pillai reciting Jathis in the Film Division’s 1954 video. Enjoy the eighth episode of Arattarangetram here. 10:50 – Does Bengaluru has as sabha culture like Chennai? 11:52 – How do Bengaluru audiences perceive classical dance? 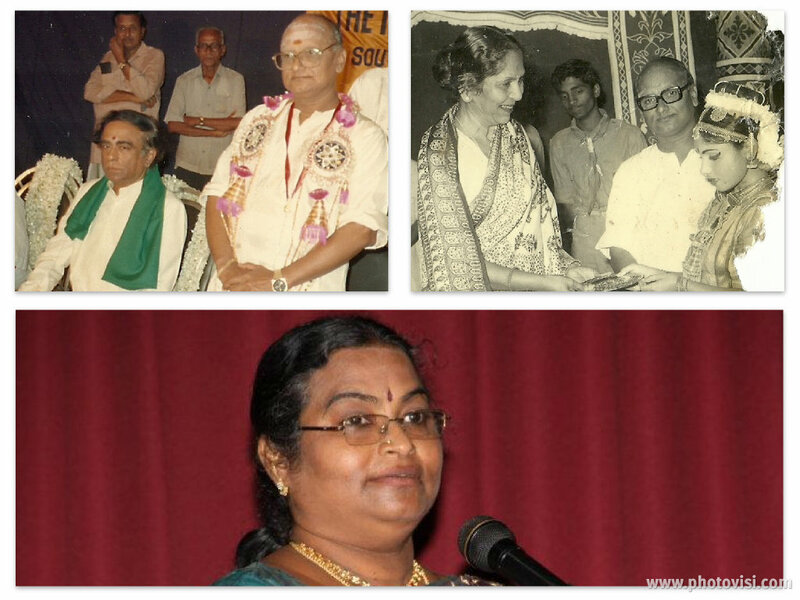 Jayakamala Pandian recounting the experiences of organizing the event in honour of her father, Swamimalai K. Rajarathnam Pillai’s 80th birthday celebrations. 25:30 – Vazhuvoor nritta and its uniqueness: How is grace incoporated in the style? Explaining Ramiah Pillai’s and SKR’s teaching vazhuvoor bani. 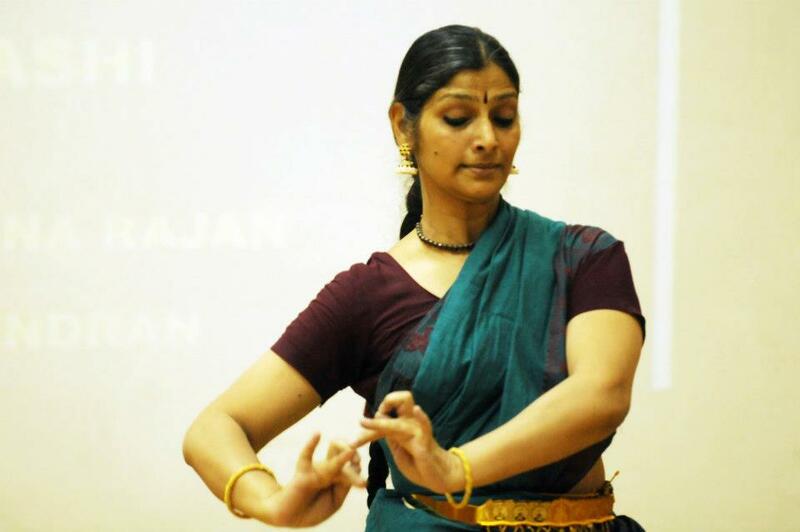 38:00 – Collaboration between Bharatanatyam artists – an established norm. Watch out for Part II and Part III of the seventh episode with Smt. Jayakamala Pandian in the next post. Enjoy the seventh episode of Arattarangetram here. In this post you will see the dance history and Devil’s advocate segment.